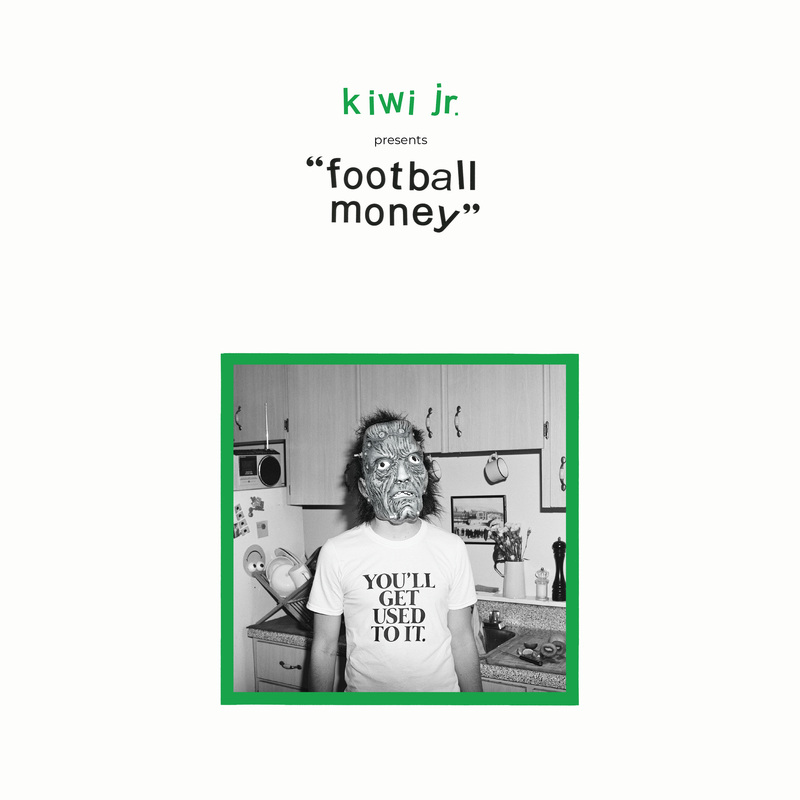 The joyous 10 song debut from Kiwi jr. is a lustrous 12 string paint job with reams of full grain, cordovan leathery chorus washing over the intoxicating aroma of glittering prize-fought floor fillers. All of the above have been stamped on the back of a Postcard wrapped around a Boomerang that's landed softly on Jonathan Richman's lawn where Nick Lowe is reluctantly but irresistibly tapping his toes to "Wicked Witches." The pair pick it up and use the blunt edge to open an ice cold bottle of beer from the ironclad ice box holding the provisions to a party you haven't been invited to yet, but is emanating the faint smell of shellfish and hockey pucks. In the cloud of smoke from the grill are seeming streams of consciousness telling the most absurd and delighting stories of enviable enemies, nights gone wrong, ludicrous desires matching open suspended chords, and criminally convenient opportunities to use "Burt Bacharach" as a rhyme. The sound of a friendly argument with your friends, the sound of an ocean breeze wafting through the front door of Chez Jay in June at midday, what we think about when we think about John Vincent: This record is a laser cold hit.